President Obama ordered a security review after a man allegedly boarded a U.S.-bound flight with explosives. Washington (CNN) -- The initial report ordered by President Obama on the failed Christmas Day terrorist attack will be released Thursday, Obama's spokesman said Wednesday. White House press secretary Robert Gibbs told reporters that the unclassified version of the report by John Brennan, the assistant to the president on homeland security and counterterrorism, would be made public and that Obama also would make a statement. The president ordered a review of security screening and other issues that allowed a Nigerian man to allegedly board a U.S.-bound flight with explosives. The bomb failed to detonate as the flight approached Detroit, Michigan, on December 25. "The president will make a statement about this tomorrow. That review will be released," Gibbs said Wednesday. Also Wednesday, a federal grand jury indicted the suspect -- 23-year-old Umar Farouk AbdulMutallab -- on six counts including attempting to blow up an airplane and attempting to murder the other 289 people aboard. "The charges that Umar Farouk AbdulMutallab faces could imprison him for life," Attorney General Eric Holder said in a statement. "This investigation is fast-paced, global and ongoing, and it has already yielded valuable intelligence that we will follow wherever it leads. Anyone we find responsible for this alleged attack will be brought to justice using every tool -- military or judicial -- available to our government." Video: Who's to blame for missteps? Obama said Tuesday he wanted immediate reforms to correct what he called systemic failures that allowed the attack to happen. "This was a screw-up that could have been disastrous," Obama told his national security team, according to a senior administration official. "We dodged a bullet, but just barely. It was averted by brave individuals -- not because the system worked -- and that is not acceptable. While there will be a tendency for finger pointing, I will not tolerate it." In a statement to reporters after meeting with the security team Tuesday, Obama said U.S. officials had enough information before the failed bombing to have prevented the suspect from getting on the plane, but had been unable to "connect the dots." According to authorities, AbdulMutallab tried to detonate explosives hidden in his underwear as a Northwest Airlines flight from Amsterdam, Netherlands, made its final approach to Detroit. The device failed to fully detonate, instead setting off a fire at the man's seat. AbdulMutallab is scheduled to make his first court appearance Friday. The grand jury indictment lists charges of attempted use of a weapon of mass destruction; attempted murder within the special aircraft jurisdiction of the United States; willful attempt to destroy and wreck an aircraft within the special aircraft jurisdiction of the United States; willfully placing a destructive device in, upon and in proximity to an aircraft within the special aircraft jurisdiction of the United States; and two counts of possession of a firearm/destructive in furtherance of a crime of violence. The indictment offered no new details of the alleged bombing plot. The U.S. government has taken steps to increase airline security. Senior State Department officials told CNN on Tuesday that new criteria for information collected on possible terrorists would make it easier to ban them from U.S.-bound flights. Speaking on condition of anonymity because of the sensitive nature of the material, the officials said the United States has lowered the threshold for information considered important enough to put suspicious individuals on a no-fly list or revoke their visas. Mostly Republican critics have said AbdulMutallab should have been subjected to military interrogation, rather than receiving the rights of a defendant in the U.S. criminal justice system. Gibbs said Tuesday that the FBI obtained "actionable intelligence" from AbdulMutallab in the first hours after his arrest. Gibbs declined to elaborate on the nature of the intelligence from AbdulMutallab, 23, who has been tied to the Yemen-based group al Qaeda in the Arabian Peninsula. AbdulMutallab is being held at the Federal Correctional Institution in Milan, Michigan, where he's still being treated for the burn injuries he received in the failed bombing. The suspect had a valid multiple-entry U.S. visa. His father, a leading banker in Nigeria, had warned U.S. authorities before the attack that his son might be involved with Islamic extremists, but the information failed to prompt a response such as canceling the visa. Dutch prosecutors said Tuesday that AbdulMutallab apparently arrived in Amsterdam from Nigeria already carrying the explosives he planned to use. To Obama, the suspect never should have been allowed on a U.S.-bound flight. The Transportation Security Administration already announced strengthened security steps, including enhanced screening for travelers heading to the United States from 14 countries: Cuba, Sudan, Syria, Iran, Afghanistan, Algeria, Iraq, Lebanon, Libya, Nigeria, Pakistan, Saudi Arabia, Somalia and Yemen. The American Civil Liberties Union and the nation's largest Muslim civil liberties and advocacy group have protested the move as religious and ethnic profiling. On Tuesday, the Cuban government summoned the top U.S. diplomat in Havana to formally protest the enhanced screening for travelers from Cuba, said Josefina Vidal of Cuba's Foreign Ministry. Also Tuesday, British officials announced that London's Heathrow Airport will introduce more body scanners within weeks and that all British airports must have equipment to detect explosives by the end of the year. Canadian authorities also said body scanners would be in place at major airports in coming weeks. Despite the close call, Obama reiterated his intention to close the detention facility for suspected terrorists at Guantanamo Bay, Cuba. 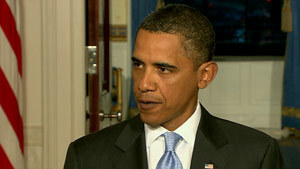 However, he said transferring Yemeni detainees at Guantanamo back to Yemen would be halted for now. Lawyers for some of the Yemeni detainees at Guantanamo Bay told CNN they were disappointed by the decision. "These men have come to expect setbacks, and many don't think they'll ever be set free," said David Remes, who represents 15 Yemeni detainees. "Some had hoped the ice would be melting, but that hope's dead for the time being." CNN's Dan Lothian, Suzanne Malveaux, Elise Labott and Tom Cohen in Washington; Per Nyberg in London, England; and Christian Purefoy in Lagos, Nigeria, contributed to this report.